Our 4th Friday Breakfast Is This Friday! Do you want to hear an inspiring story of a Flint business owner motivated to be part of the solution in Flint? Join Flint Club this Friday, June 24th, from 7:30-9am at Hoffman’s Deco Deli for our 4th Friday Breakfast. Our special guest will be Amy Miles, Chief Logistics Officer for Commerce Connect, LLC. Amy will lead our discussion about small business by sharing Commerce Connect’s experiences in such areas as setting up headquarters in downtown, employing local talent and college students, and partnering with other area businesses. We are delighted to have Amy join us for our conversation and we hope to see you too! 4th Fridays are always free and open to the public. Amy is committed to finding ways to support her home town. In 2010 she and her partners founded Commerce Connect, LLC. The purpose of this firm was to utilize Amy’s expertise in distribution but to a new customer, the government. Commerce Connect, LLC is a woman owned business who is applying for hub zone status which means that it is required to employ Flint residents that live in the hub zone. In 2010 Amy and her partners purchased majority interest in Rawway. This company manufacturers organic, raw, health bars. The first facility Rawway used to produce these bars was the Kitchen of Blackstones. In the fall of 2010 production was moved to the Kitchen Riverside Residence. Rawway employs local residents and college students. On Friday, Amy will share her experiences working and owning a business in Flint. All are welcome to attend. As you may know we recently moved our office. Now that we have settled in (mostly) we would love for you to come and check out our new space! 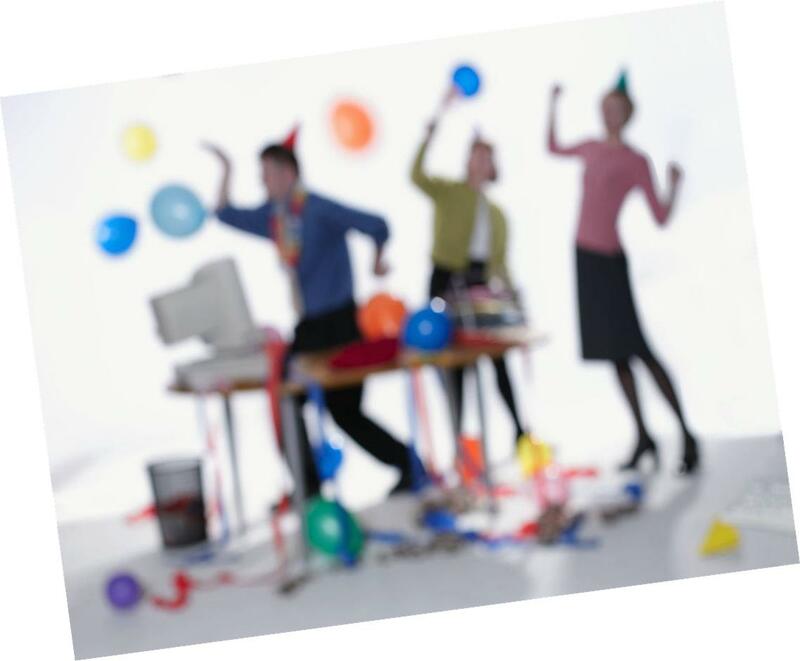 So this Wednesday June 1st starting at 5:30pm we are hosting an “office-warming”. Come over and see us, you will get a chance to tour the Flint Club space at the FACVB, enjoy some refreshments, and learn about Flint Club. Bring friends and colleagues too, we would love to meet them. WHERE: The new Flint Club offices at 502 Church St. Located inside the Flint Area Convention and Visitors Bureau. WHAT ELSE: We are asking for a tax deductible of donation of $10 if you are a Flint Club member, and if you are not, you can sign up to be a Flint Club member right on the spot (a year membership is only $25) You are the fuel that keeps Flint Club running and we cannot do this without you! Our Monthly 4th Friday Breakfast is fast approaching! In fact it is this Friday May 27th. This month Flint Club will be discussing Flint as a business town. Our guest speaker is Neil Sheridan, Director of Kettering University’s TechWorks. Mr. Sheridan will lead our discussion Inventing A New Flint: Technology Startups In Our Region. Neil Sheridan serves as the Director of Kettering University’s TechWorks Program and is an Adjunct Professor of Management. As part of Kettering’s economic development contributions to Flint and Michigan, TechWorks assists innovators with developing advanced technology products and services and then bringing them to market. In Flint, Mr Sheridan has worked with Mayor Walling and the Genesee Regional Chamber of Commerce to secure a “smartzone” designation for Flint (the same program that launched Detroit’s TechTown, and Ann Arbor’s SPARK). He was also recently named to help Genesee County’s “Green Technology Committee” which is seeking to create jobs and economic opportunity while making our area more environmentally sustainable. 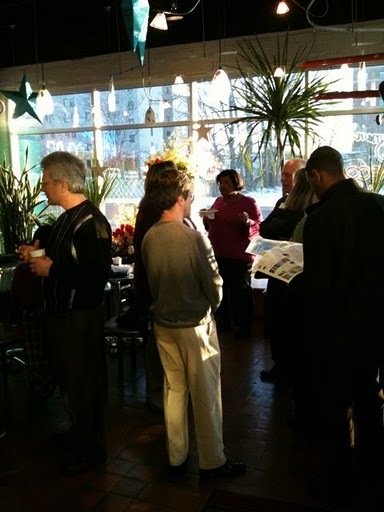 Our 4th Friday Breakfast is this Friday, May 27th at 7:30am at Hoffman’s Deco Deli and Cafe. And as always the breakfast is free, yes, you read that right. The breakfast is free. So bring a friend, or a colleague, or bring all your friends and colleagues. The breakfasts are always informative on how all of us can make Flint a more desirable place to live, work and play. We here at Flint Club have an amazing story for you. We recently met JJ Roth and Angela Alexander at a networking event for Buy Local Trade Local http://buylocaltradelocal.com/ and they had quite the story about Flint to tell. We felt that this story was so great we wanted to share it with all of you. You see JJ and Angela are not from here originally, they are transplants from Phoenix, AZ with no initial connection to Flint or the Flint area. We are so used to hearing about people leaving this city that learning people had moved here was a welcome change of pace. So the story goes that JJ and Angela were looking for a change from their life in Phoenix, and so they hit the road looking for a new place to live, and work, and play. They started driving east, and looked in all the major cities between Phoenix and Flint. Indianapolis, Chicago, etc. They found some nice neighborhoods, and some cool cities between here and there, but it was not until they got to Flint that they finally decided to settle down. 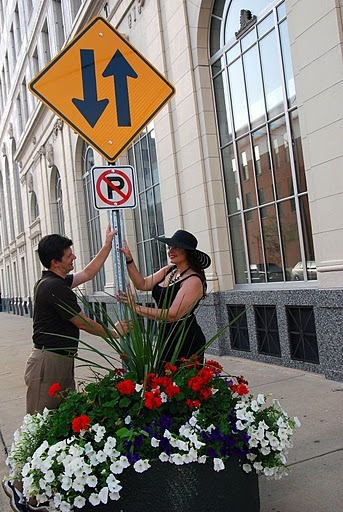 The more that JJ and Angela looked around Flint the more they began to fall in love with the city. “We loved the variation in the styles of homes here in Flint.” said JJ. They loved it so much that after only being here for a short time they decided to make Flint their home, and bought a house here in the city. “It felt like home. It felt right here.” they both said. And so they did. They packed up the rest of their belongings in Phoenix and settled into their new home in Flint. “In our hometown of Phoenix, and in many of the cities we visited, there was no sense of community. People went to work, then they went home. They never went out. But the sense of community here in Flint has been amazing. There is so much community based involvement.” says Angela. And JJ and Angela are helping to contribute to that sense of community, in their first year here in Flint Angela organized a showcase of homes and ice cream social in her neighborhood. “It was great. It was a fun way to meet the neighbors, and for the neighbors to meet each other.” JJ said. JJ and Angela continue to be excited about all the significant positive changes they have seen here in Flint in just the short time that they have been here. The collaboration here among different groups like the DDA and Uptown Reinvestment Corp are what sets Flint apart from other cities according to JJ and Angela. “A lot of cities like Flint have tried to re-emerge, but without that collaboration, like there is here in Flint, it never worked for them.” says JJ. JJ and Angela both own small businesses here in Flint. JJ runs AppTech Consulting, he is a computer specialist and does application and business consulting, if you have a problem with your personal computer or the computers at your business, JJ can help. He can be reached at whitenight@cox.net and by phone at 602-309-3004. Angela is the founder and owner of Alley Cat Angels, and sits on the board of Citizens for Animal Rescue & Emergencies or C.A.R.E. both organizations are dedicated to animal rescue here in the Flint area. Every month there is a low fee spay and neuter clinic for any and all animals. Angela can be reached at 417-396-6532 or fixyourpet04@yahoo.com for more information. “Many people we encounter in Flint carry the weight of all of the history of this city. 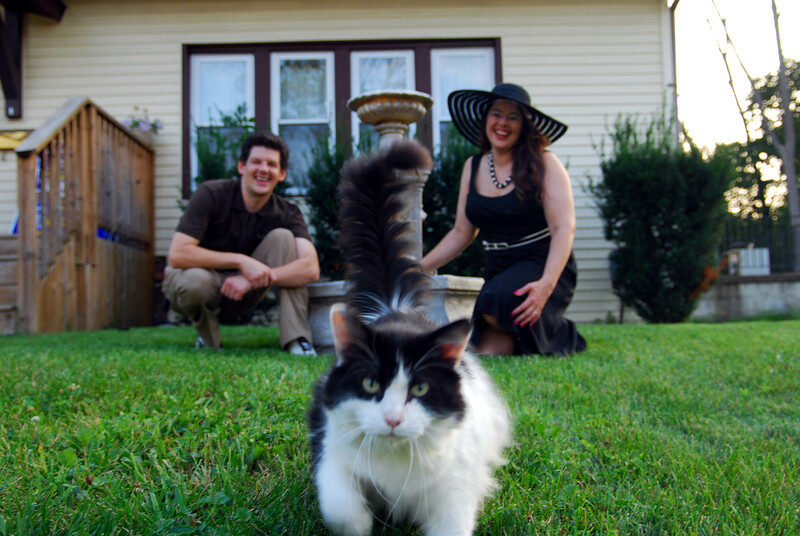 But we see it with fresh eyes and it is just a great place.” Both JJ and Angela say. It is because of that attitude, and the decision to move to Flint and be a part of the solution, that we at Flint Club designate JJ Roth and Angela Alexander both Made In Flint.